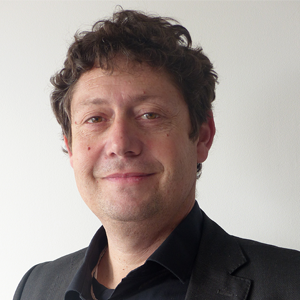 Dr Christophe Fournier is a professor at IAE Montpellier Graduate School of Management, part of Montpellier University. Professor Christophe Fournier is teaching sales force management at both undergraduate and graduate level in both in-person and online classes. He is the author of the MOOC (Massive Open Online Course) “Salesforce Management” taught in French, with more than 9300 enrolled learners. This MOOC was ranked 4th in a pedagogical digital innovation contest by the “Conference of the President of the French Universities.” ‘According to the French Journal, “The Parisien,” the Salesforce Management MOOC is among the best MOOCs in Management. His current research is about e-commerce and sales force management. His research interests include evolution of selling, sales context, burnout, ethical climate, and turnover. He has published his research in international journals such as Journal of Personal Selling and Sales Management, Journal of Business and Industrial Selling and in French journals such as Revue Française de Marketing, Décisions Marketing, and Recherche et Applications en Marketing. He also supervises PhD candidates.